With the Mi 5s all set to be unveiled next week, Xiaomi may also be working on yet another mid-range handset which surfaced in China. A mysterious Xiaomi smartphone bearing model number Xiaomi 2016051 was spotted at TENAA in China. The handset, which seems to be the company’s upcoming mid-range smartphone offering. While the handset seems to be carrying the same design as the Redmi Note 3 series, it is said to have a much smaller and compact 5 inch display. The Xiaomi 2016051 seems to be maintain the same design language used in the Redmi Note 3 including the fingerprint scanner on the back. The handset is said to have a 5 inch full HD TFT display. The smartphone is apparently powered by a 2 GHz deca core processor which we assume to be the MediaTek Helio X20 chipset with 2 GB of RAM and 16 GB of storage. 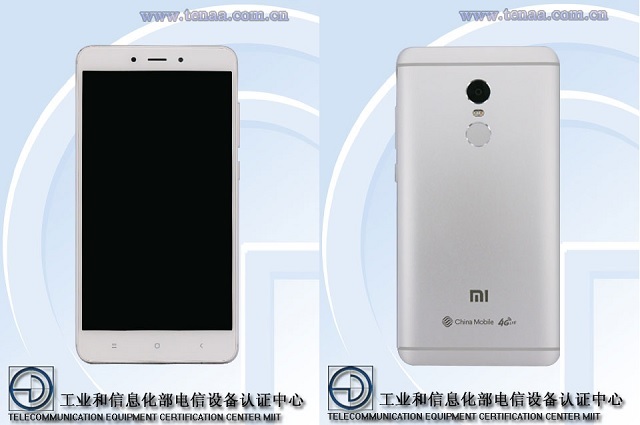 The Xiaomi 2016051 listing reveals a 13 MP rear facing camera with dual LED flash. Also expected is a standard 5 MP front facing camera. Lastly, the handset packs in a 4000 mAh battery and runs on the Android Marshmallow version. We should expect an announcement in the next few weeks.